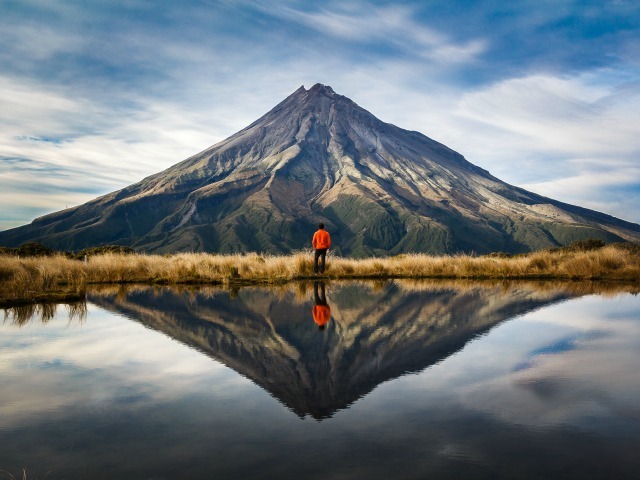 New Zealand’s newest premier one day walks, the Taranaki Pouakai Crossing lets you soak in the highlights of the Pouakai Circuit on the northern slopes of Mount Taranaki. The 19km trail boosts stunning views the summit and Pouakai Ranges. 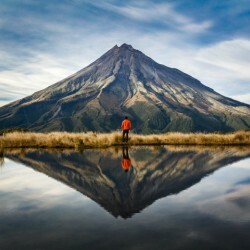 Now is the perfect time to walk one of New Zealand’s most beautiful unspoilt tracks where you’ll get up and close with the towering lava columns of Dieffenbach cliffs, cross the golden tussocks of the Pouakai plateau to the world-famous tarns with their mirror reflections of Mount Taranaki. A must do activity for young and old when visiting Taranaki. breathable and reasonable waterproof rating. including food and water, and still be comfortable. Trail running shoes are suitable for most outdoor activities. Old school walking shoes are suitable as well. Should I tell anyone my plans? Yes. In New Zealand, it’s expected you'd tell someone what you’re doing and where you’re going before you go. Because many outdoor locations are remote and have no mobile phone coverage, often with very few people around, if something does go wrong the only way our emergency services can help you is if they know you haven’t returned. Tell a trusted contact. If you’re visiting from overseas and your trusted contacts are back home you can still tell them of your plans.